Honey I Shrunk the Prices! Oops! It was National Pollinator Week last week and we forgot to celebrate. But bee-ing big fans of bees we thought it was only right to pay tribute to the humble honey bee this week instead, by sending you an offer that’ll have you buzzing. This week get 10% off all Beehauses! Usual price £495, this week just £445.50! That’s a saving of £49.50! It may be Summer but it’s not too late to start keeping bees. 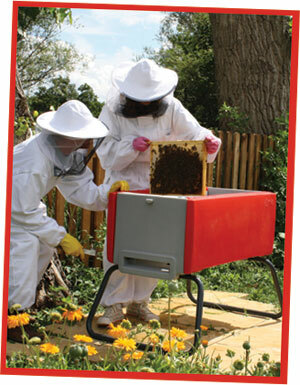 Beekeeping is a bee-rilliant hob-bee and really beneficial to the environment. Bee numbers are decreasing so by giving honey bees homes we can help to boost numbers. And let’s not forget how important bees are – without bees we’d have no pollination, and without pollination we’d have no food. Get 10% off Beehauses this week!